Chronic mononucleosis is an acute infectious disease that causes change in leukocytes. This disease is caused by Epstein-Barr virus. The disease is transmitted through direct oral contact, it is also known as kissing disease as primarly transmitted through saliva. Most of the children and young adults are affected with this disease. It is a benign infection characterized by swollen lymph nodes, fever and fatigue. Lymph nodes are considered as part of endocrine system. The nodes work with immune system to remove infectious pathogens from bloodstream. In chronic mononucleosis the lymph nodes get swollen up. The patients with this disorder accumulate white blood cells within lymph nodes that cause swelling. These lymph nodes appear within neck, under armpits, groin that may be painless or slightly tender to touch. Patients with this disorder develop sore throat, swollen tonsils, feel pain during swallowing food and discomfort. Sore throat can persist to prolonged month. Chronic mononucleosis patients experience persistent or recurrent fever. This condition includes additional symptoms like headache, sweating, chills or body aches. It is one of the common symptom associated with people having chronic mononucleosis problem. Affected people may sleep for longer time throughout the day. Chronic mononucleosis can be detected by performing a simple blood test that will find increase in number of monocytes of affected patients. As per Ayurvedic point of view the main cause of this disease is imbalance of three energies (vata, pitta and kapha) in body. Basically pitta and kapha dosha get imbalanced in chronic mononucleosis. So, here are some herbal remedies mentioned below that will cure the associated symptoms related to chronic mononucleosis. These capsules contain pure standardized extract of curcumin (Curcuma longa). 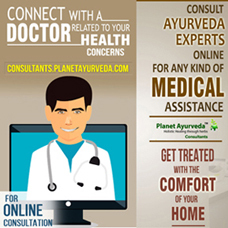 Curcumin is active compound of herb “Turmeric”. The herb used in this capsule possesses anti-oxidant, anti-inflammatory, analgesic, anti-diabetic and anti-biotic properties. It helps to improve immunity, overcomes weakness, cure sore throat, fever, fatigue and headache associated with chronic mononucleosis. These tablets reduce lymphatic congestion that causes swollen lymph nodes in chronic mononucleosis. 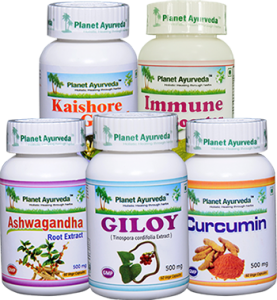 The herbs used for preparation of tablets are Amalaki (Emblica officinalis), Bibhitaki (Terminalia bellerica), Haritaki (Terminalia chebula), Guduchi (Tinospora cordifolia), Black pepper (Piper nigrum) and Long pepper (Piper longum) etc. Kaishore guggul helps in elimination of toxins, reduces inflammation, swelling, fever and supports healthy metabolism in body. Amalaki (Emblica officinalis): It boosts up immunity and cures swollen lymph nodes associated with chronic mononucleosis. Bibhitaki (Terminalia bellerica): The herb balances all three doshas (vata, pitta and kapha). This plant contains egalic acid, galic acid, sitosterol, galloyl glucose, tannins, oxalic acid, glucose, galactose and chebulasic acid etc. It is very effective in throat infection, fight against infections, inflammation, enhances immunity and overcomes general weakness. Haritaki (Terminalia chebula): This herb detoxifies and nourishes body tissues. It helps to improve digestion, maintains normal body temperature and provide healthy metabolism. Guduchi (Tinospora cordifolia): Guduchi is very beneficial herb for reducing fever, improve weakness, fatigue, sore throat, headache and influenza associated with chronic mononucleosis. The herb is used from ancient time for medicinal properties. It boosts up immunity naturally. Black pepper (Piper nigrum): The herb balances vata and kapha dosha in body. It helps to remove toxins from body. This herb contains vitamins A, C, E, K, niacin, iron, calcium and phosphorus that provides medicinal values. Long pepper (Piper longum): The herb contains constituents like resin, piperin, piperlongumine, piperlatin, sterols and glycosides etc. It helps in detoxification of body, removes fatigue, through-out infection, fever, weakness, fatigue and headache. All symptoms associated with chronic mononucleosis are cured with this herb. Recommended dosage: One to two tablets twice or thrice daily with lukewarm water after meals. These capsules build up immune system, enhance body metabolism, flush out toxins and clean body system completely. Ingredients used for preparation of capsules are Grape seed (Vitis vinifera), Go- Piyush (Bovine colostrum), Bhumi-amla (Phyllanthus niruri) and Amalaki (Emblica officinalis). Grape seed (Vitis vinifera): Grape seeds are rich source of Vitamin E and Vitamin C. It contains alkaloid “Resveratrol that boost up immunity and provide effective result in chronic mononucleosis. Go-Piyush (Bovine colostrum): It is rich in immunoglobins and Vitamin A. Go-Piyush boosts up immune system as it is rich in vitamins, proteins, minerals and various micronutrients. Bhumi-amla (Phyllanthus niruri): This herb removes toxins, cures fever, boosts immunity, and overcomes weakness and fatigue associated with chronic mononucleosis. Amalaki (Emblica officinalis): This herb is rich source of vitamin C, minerals and various nutrients. Amalaki possesses effective results in chronic mononucleosis due to its anti-inflammatory, analgesic and immune booster property. Pure extract of herb Giloy (Tinospora cordifolia) is used for preparation of capsules. This herb possesses anti-pyretic, analgesic, anti-inflammatory, immune-booster and analgesic properties. The capsules provides effective results in weakness, fatigue, fever, swollen lymph nodes and sore throat. This herb maintains metabolism of body. 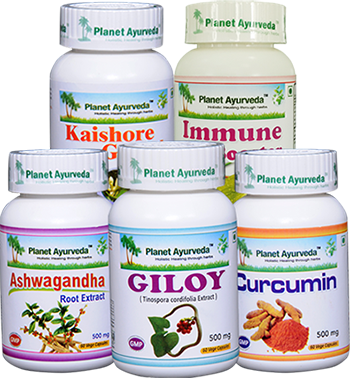 Giloy herb is used from ancient time by Ayurvedic practitioner for various types of diseases. It provides effective result in chronic mononucleosis. Standardized root extract of (Withania somnifera) is used for preparation of these capsule. The herb is used for various therapeutic values as it possesses anti-inflammatory, antioxidant, immune-booster properties. This herb rejuvenates whole body. It is rich in natural alkaloids that fights stress, improves stamina, tiredness, fatigue and general weakness associated with chronic mononucleosis.